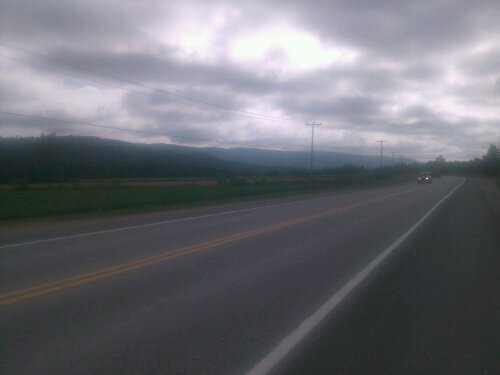 I was back traveling on highway 148 after several days on the Cycloparc trailway. 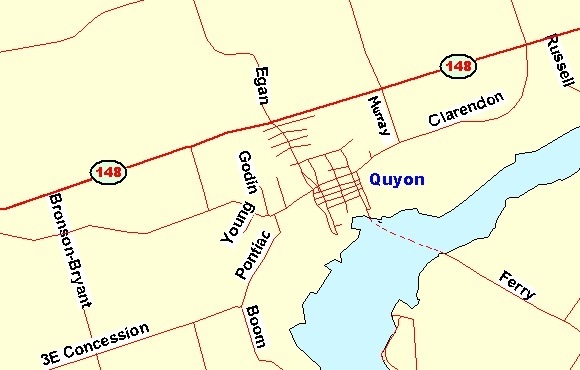 I spent the evening in Quyon, Quebec. A small town where you could catch the ferry across the river to Ontario. It was early yet around 5 pm, and so I made my way to the only open establishment in town, Gayan’s Hotel. I pitched my tent in Pierre’s yard that evening. The next morning I witnessed to him about Jesus and prayed for him. He received salvation and became a born again Christian just like Johnny Cash was! Thank you Jesus!